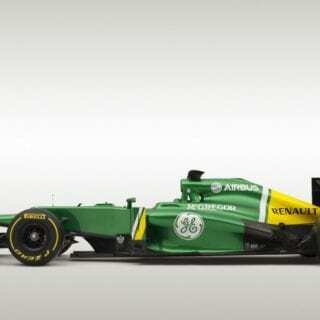 Caterham F1 Team’s 2013 race car the Caterham CT03, was unveiled in the pitlane of the Circuito de Jerez, Spain, on day one of the first official pre-season test. 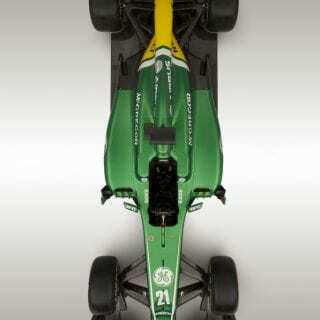 The car was revealed by the team’s race drivers Charles Pic, who will race in car #20, and Giedo van der Garde who will be in car #21 for the forthcoming season. 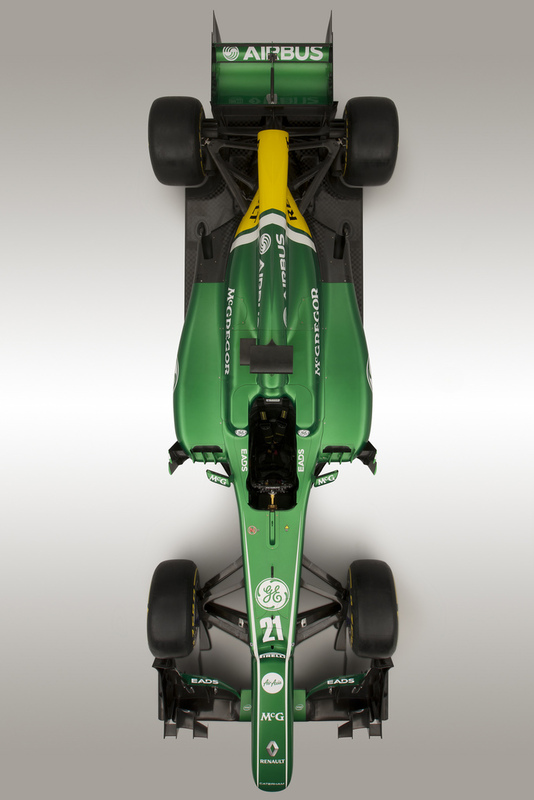 The 2013 Caterham CT03 car has technical features that distinguish it from its predecessor, CT01, and it will race in an updated livery which sees the team’s green and yellow paint-scheme refreshed and lightened for the season ahead. 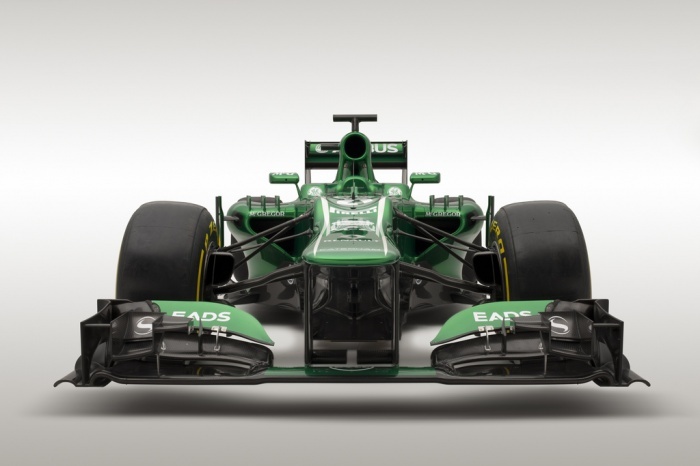 Mark Smith, Technical Director, Caterham F1 Team: “Caterham CT03 is the first car we have produced in the Leafield Technical Centre so it marks an important milestone in the development of our team. The season ahead presented us with an interesting challenge early in the design process as it is the last year of the current regulations before the introduction of the new engine rules in 2014. With that in mind, we decided that CT03 would be an evolution of CT01 rather than a complete re-design, allowing us to focus our resources on developing areas of last year’s package where opportunities would give us the greatest return, while also beginning work on the 2014 package. 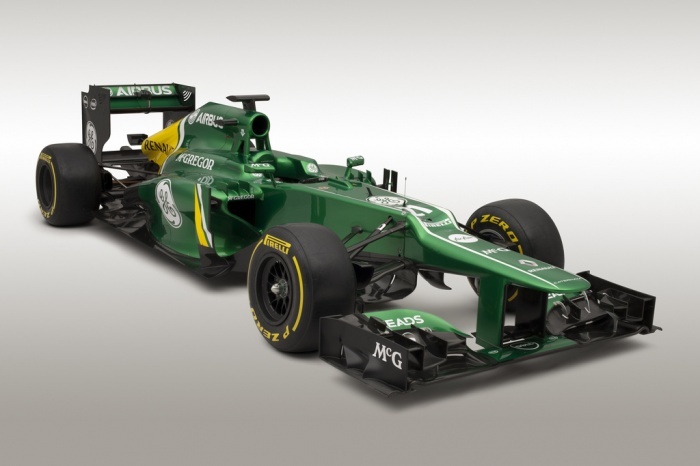 “We have made a number of significant changes to the car that takes it from the package that gained us 10th place in the championship in Brazil in 2012 into Caterham CT03. 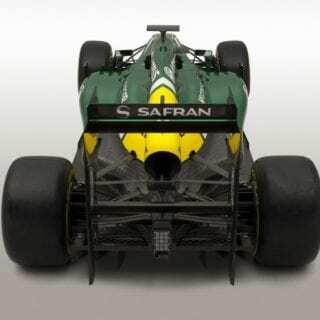 Among the most obvious are around the lower chassis where the sidepods have been significantly undercut to improve airflow to the rear of the car. The diffuser, engine cover and cooling exits have also seen major changes and there are more subtle improvements to other areas of the car, such as the sidepod turning vanes and the lower tea-tray area. This is the package we will take to race one in Australia and as part of the 2013 upgrade program we will then bring new front and rear wings and a new diffuser soon after the start of the season. 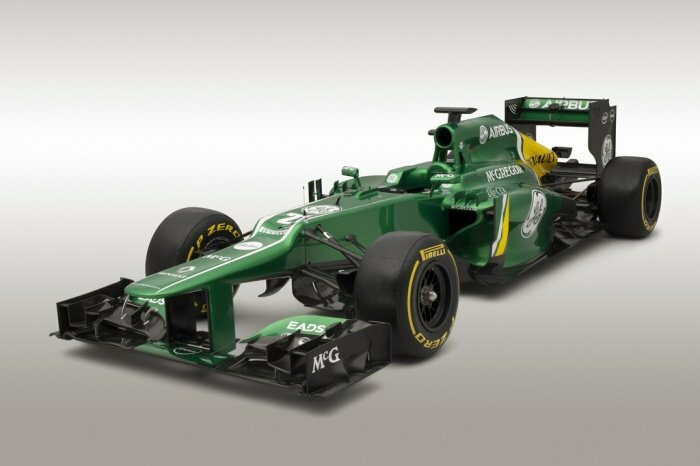 “However, the Caterham CT03 car that starts testing in Spain on day one in Jerez is not the only visible change amongst a number of other important developments at Caterham this winter. Back in Leafield, we are fast completing our own ‘driver in the loop’ simulator, created with the support of Dell and powered by Alienware. This is a major asset for our team that puts us on a par with any of our competitors and constitutes another example of the long-term plans we are activating that will help us continue to grow and develop into the team we know we can become. 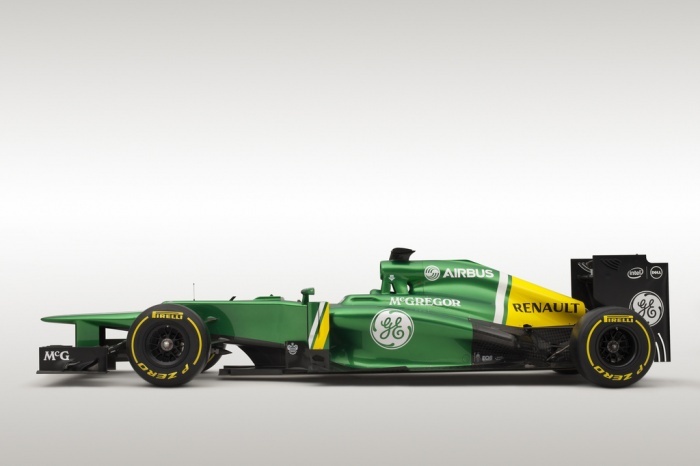 Cyril Abiteboul, Team Principal, Caterham F1 Team: “This is the first car we have produced since I joined the team so this is a proud day for me. 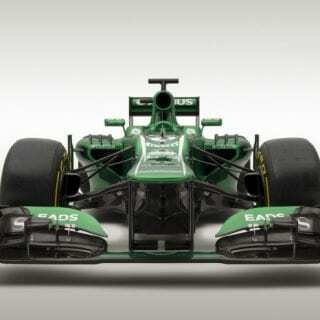 I am very pleased that we have been able to allocate our resources and budgets as efficiently as possible to produce a car that will allow us to consolidate our position in Formula One whilst also starting work on the 2014 car as early as possible. 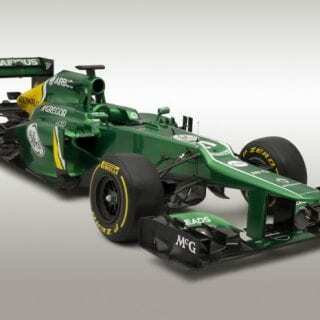 “From the outside, the most obvious change to Caterham CT03 car is the livery. 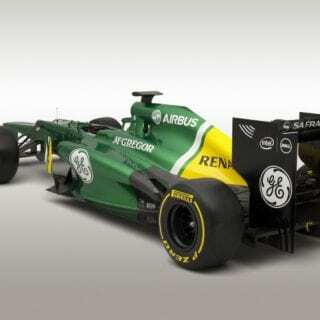 While retaining the green and yellow paint scheme that has become synonymous with our team since 2010, we have refreshed both colours to enhance their visibility on track and give them what will be, we believe, one of the best looking liveries in the pitlane. “Off track our team is in a healthy position. We are still a small team but our stated objective is to be the most efficient of all F1 Teams, and thanks to our determination, our scalability and our processes, there is no reason we cannot achieve this in recognition of the ongoing investments our shareholders and team partners make in us. “We have partners in GE/Safran, EADS/Airbus, Dell/Intel, McGregor and Renault who are the envy of the pitlane. Our relationships with each of those businesses continue to develop and we are delighted that such blue-chip brands share our vision and are an integral part of our team. 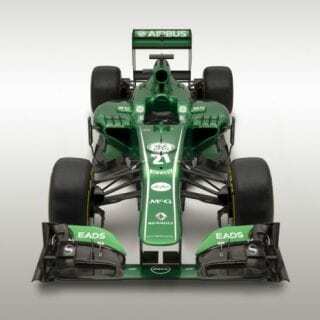 “As part of Caterham Group we are also involved in the Renault/Caterham Cars partnership, one of the most exciting projects in the global motoring industry and one that means we start the 2013 season as one of the five car-makers on the F1 grid. 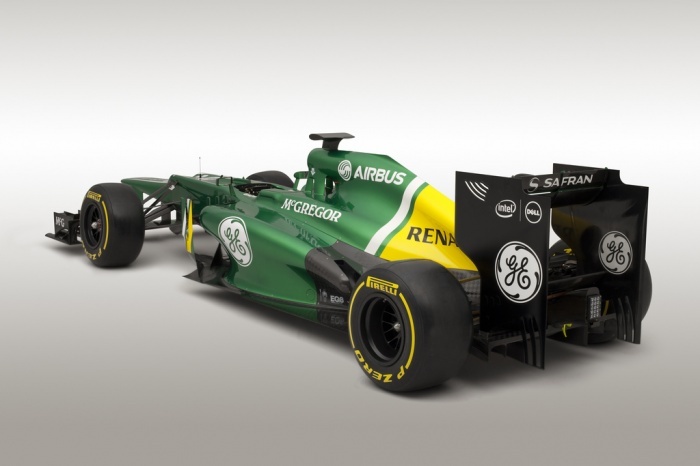 Tony Fernandes, Co-Chairman, Caterham Group: “This is the first car we have produced from our factory in Leafield and the last we will build under the current regulations. 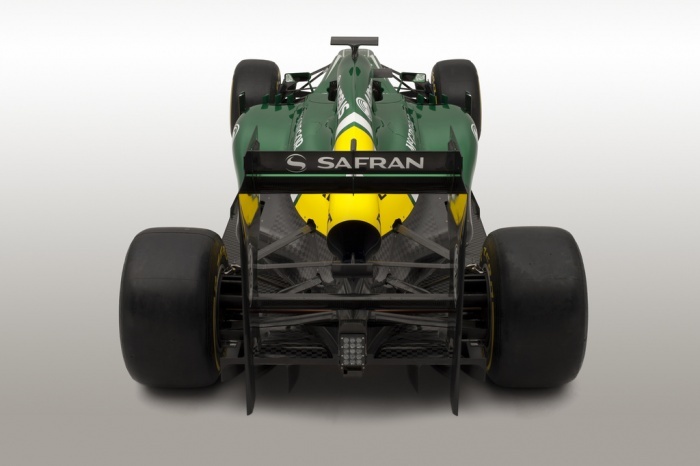 The team has produced a car that is an evolution of the 2012 car, building on that platform to give us a chance of continuing to make progress towards the teams ahead, while also dedicating enough resource to start work as early as possible on the 2014 car. “For me this is going to be the story of the 2013 season – every team wants to be as competitive as possible this year, but with such fundamental rule changes next year resources and budgets dictate that there will have to be a cut-off point in the development of the current season cars so focus can be switched to 2014. We will bring updates to the car after several races and I am happy that the plan we have for 2013 will give us the chance to fight this year, but, importantly, will allow us to take full advantage of the new rules in 2014. 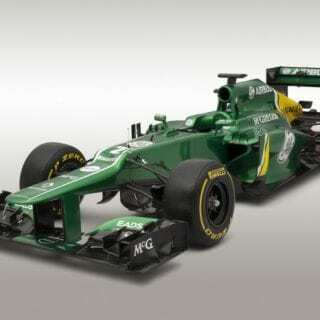 “Having stepped up to the role of Co-Chairman of Caterham Group I will be playing less of a day-to-day role with the team but I am delighted that we go into our fourth season in such a strong position. Caterham Group continues to grow and since launching our partnership with Renault in November we have started work on the new Alpine and Caterham Cars products which is obviously very exciting. 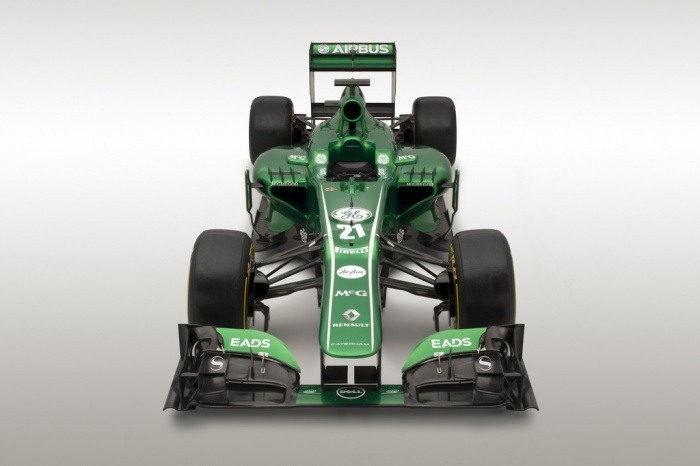 Caterham Composites and Caterham Technology & Innovation are also forging ahead with a number of very interesting projects, some of which will be unveiled throughout 2013.